PayPal is no stranger to Canada, being one of the leading digital payment options available. But its market is worldwide, with a user base of 165 million customers around the world. Alexander Peh, PayPal Canada’s head of mobile, started his Canadian dream four years ago with a goal of influencing people with new innovations. His task was complex and challenging: elevate the PayPal brand in Canada and help increase the adoption of mobile payments. PayPal is commonly used on desktop, mainly through the one-click payment button on various sites such as eBay. But PayPal has a large mobile presence, with mobile apps on iOS, Android and Windows Phone devices. There are over 28 million wireless subscribers in Canada, and users paying for goods or services through a smartphone or tablet has steadily increased year-over-year. According to Peh, PayPal’s app has been downloaded about 400,000 times in Canada and is mainly used on iOS devices, followed closely by Android. While he wouldn’t mention the number of transactions that occur in Canada, PayPal has processed $46 billion worth of transactions worldwide on mobile, around $1 billion per week since it began tracking. Peh did mention that one in five PayPal transactions in Canada are used through a mobile device. Startups and small business opt for PayPal for a number of reasons. First, cost savings, as there are no monthly fees or terminal fees. Second, the transaction fee percentage is lower than the usual credit or debit cards, at 2.4%. 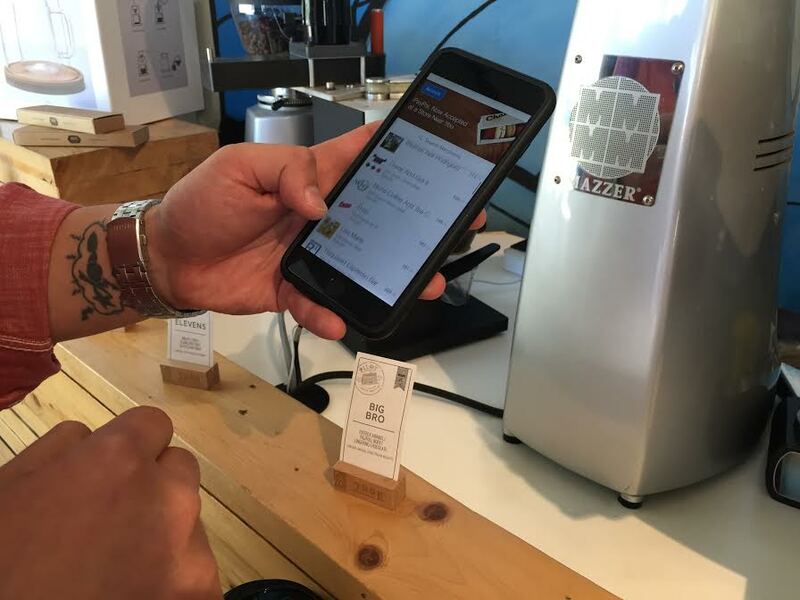 From a merchant perspective, PayPal enables point-of-purchase through its mobile app at over 130 Toronto-based local cafes and restaurants. PayPal is also powering payments for a range of innovative mobile apps including parking, taxi and carpooling apps like HonkMobile, Uber, Beck Taxi and Blancride, and food delivery apps like Grabb, Urbery and Kupfert and Kim. Canadian are carrying less cash on them for good reason, and Peh feels the same way. “I do not touch coins,” he told me. He has a wallet but it is really only a placeholder for the odd physical receipt and a $10 bill for safety. While we are not yet able to completely live a “wallet-free” life, paying for food or transportation from your mobile device offers ease of use, convenience and security.